Roof cleaning and moss removal service for homeowners in North London and Hertfordshire. Watford is a flourishing town in the county of Hertfordshire, situated 17 miles northwest of central London and inside the circumference of the M25 motorway. Roof cleaning is requested frequently by homeowners in Watford and the surrounding towns of Hemel Hempstead and St Albans as many have invested heavily in maintaining and improving their properties. A large percentage of these houses look great, but many are let down by a dirty, moss covered roof. BioWash™, non-pressure roof cleaning is a cost effective way of cleaning the roof, without the risk of damaging the tiles. 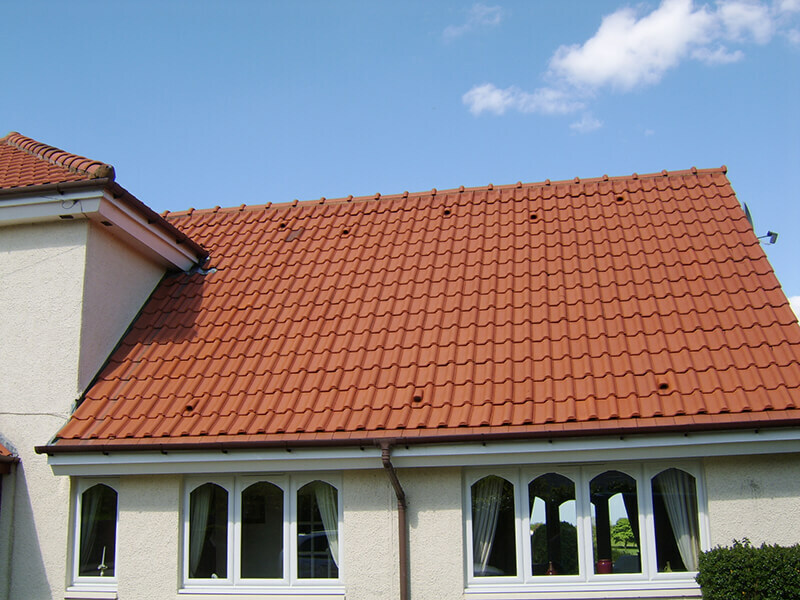 Unlike pressure washing of a roof, all work is carried out from ground, of gutter level with no reason to stand or walk on the roof. The most requested service from homeowners looking to have their roofs cleaned is moss removal. Over time, moss can grow and spread on damp porous roofs quite quickly and if this problem is not addressed, the moss growth can cause problems that can lead to repairs being necessary which may be costly. 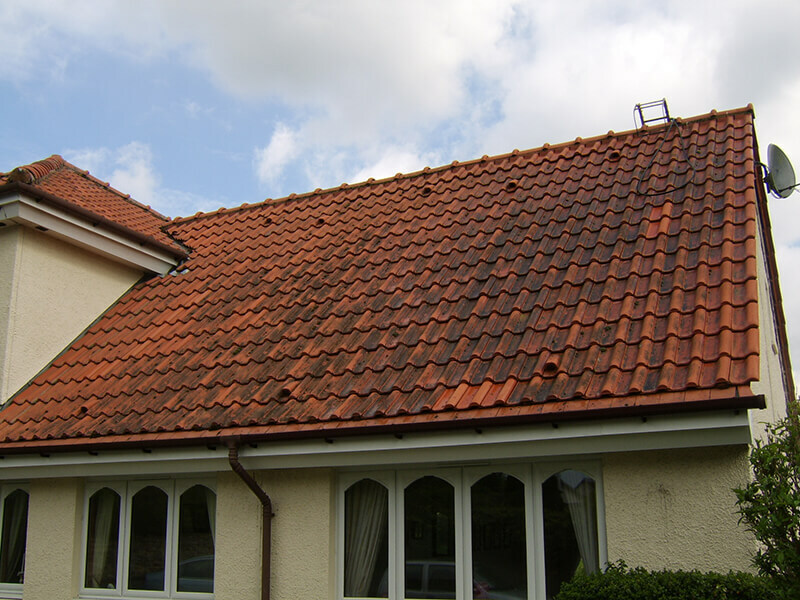 If you live in Watford or St Albans and have moss on your roof that needs removing, we can provide a free survey of the problem and provide a quote to have the moss removed. Once we have cleaned your roof we apply a protective biocide to help prevent the re-growth of moss for a number of years. The BioWash™ roof cleaning method is a softer approach to roof cleaning and is becoming increasingly popular with homeowners. The BioWash™ agent for Watford is locally based and covers the neighbouring towns and villages such as Bushey, Radlett, Tring, Elstree, Rickmansworth, Kings Langley and Borehamwood. Contact us today to arrange a FREE quotation and find out more about how the BioWash™ non-pressure roof cleaning process that can safely transform and protect your roof at fraction of the cost total replacement of a roof.